Home MMA News Video: Serra-Longo Team Meets Comedian Tyrone, Chris Weidman Received Slap! Sketch Specialist “I’m Tyrone” Joins Serra-Longo Team For An Epic Challenge, Chris Weidman Got A Slap! The comedian “I’m Tyrone” is one of the funniest people on the internet. And you better turn on his Instagram notifications, or he has a special surprise for your wife. Oh no, this is not a joke! This guy made his name on the internet by ambushing couples and random people, announcing that “he was here to f*ck somebody’s wife”. In his last Facebook video, Tyrone appears with Serra-Longo team fighters Chris Weidman, Aljamain Sterling, and Al Iaquinta. Tyrone challenged Chris Weidman, the former UFC Middleweight champion and the only man who defeated legendary Anderson Silva twice, to “get over there and f*ck that guy’s wife”. “The All-American” walked full of confidence to complete the challenge. Then he got close to the couple and said “I’m Chris Weidman and I’m gonna f*ck…” Bang! Big right hand! 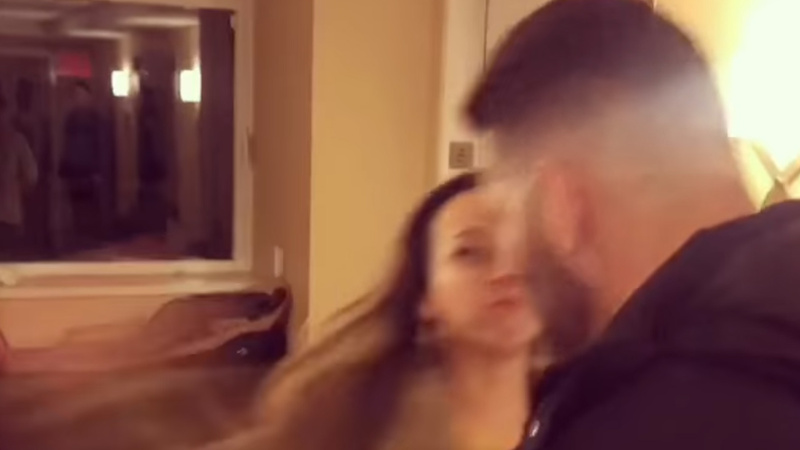 The girl punished Weidman with a hard slap to his face! The former UFC Middleweight king was enough and he walked away. Sorry Chris, but it is never easy to become a member of the Tyrone nation. Oh, this had to hurt! Chris Weidman last fought at the co-main event of UFC 230, where he was defeated to Jacare Souza via TKO in the third round. He is on a cold streak, with only one win in his last five fights. Who knows, maybe this slap is his wake up call. We can only hope “The All-American” will turn into a legendary knockout artist again! Did you like this amazing sketch? Hell yeah, Chris Weidman deserves a medal for his level of bravery, there is no doubt he has balls! Next articleManny Pacquiao, Floyd Mayweather Share Awkward Handshake At Lakers Game!